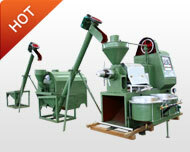 Choose a good oilseed roasting machine is of great importance for improving oil yield always needs affort from 30% by pressing, 70% by roasting materials. 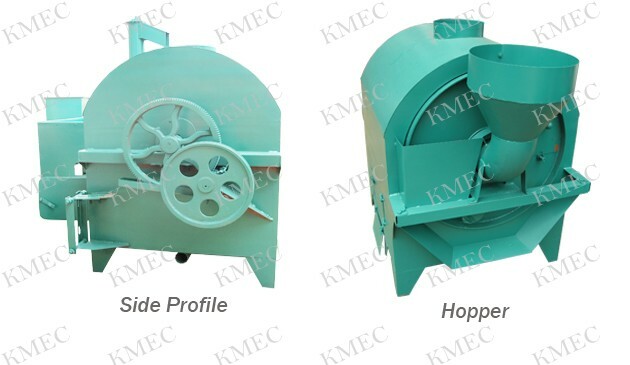 Invented by KMEC based on home and abroad advanced technology, The oilseed roasting machine we produced is definitely your perfect choice to start the oil business! 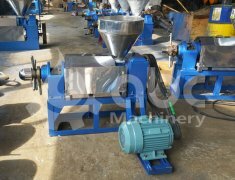 6GT series oilseed roasting machine is an advanced closed drum type rotary roaster, which is mainly being used for food and oil plant. It is suitable to roast a great number of vegetable seeds and nuts, such as cottonseeds, soy beans, sesame seeds, peanuts, sunflower seeds and rapeseeds, coconut etc. 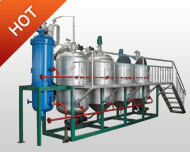 Wide application for various oil bearing materials. Simple and resonable structure : It changes the single outlet into double outlet, increase the input diameter and achieve the fast input and fast output. 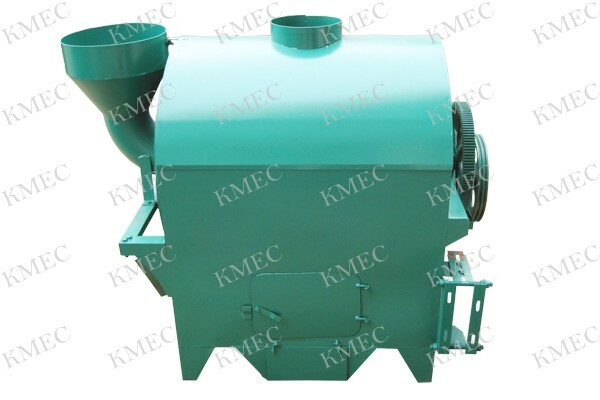 Time and labour saving, easy operation and high efficiency: The roaster is closed that can control the heat to go out and achieve the steaming and roasting function, speed up the roasting seeds. Continuous turning working: Materials roasted turned constantly, make its surface uniformly touch with pan area and avoid that flat pan roasting seeds not uniform and flammable and scorched, so it develops the oil output and oil quality. 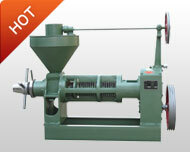 Made up of machine frame, hopper, cylinder, block fire cover, the cooking machine motor drives the gear shaft by the V-belt, the gear on the gear shaft drives the big gear on the cylinder to run; Then the cylinder rotates continuously and uniformly, the materials are fed into the cylinder to be roasted. Check the machine is safe or not before running the machine. Start the machine for five to ten minutes to see if there is abnormal phenomena. 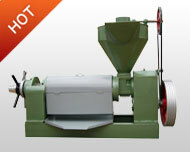 If the machine is normal, you can start roasting your oil bearing materials. 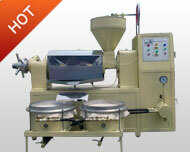 In the roasting process, other people can't approach the machine except the operator. Don't touch the roasting machine body or the driving device when it runs. 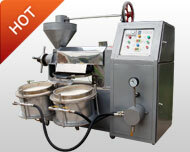 The roasting time is determined by the raw materials, usually 15 to 30 minutes. After finishing roasting the raw materials, you can start the inversion switch; After all the raw materials delivering out, turn off the power.